Long before the world revolved around the language of zeros and ones, cable television, Trip Advisor and Twitter, the tradition of storytelling was a primary means of human communication. Storytelling is how mankind records history, passes on knowledge and entertains others. From oral storytelling to cave drawings, the beginnings of the written word and on to sound, moving pictures and the digital age of today, the act of one person telling a story to another is one of the definitive characteristics that sets us apart from all other life forms on Earth. Of these, the spoken word is the oldest story format. Maybe this is why many people still experience it as the purest, most personal, most instinctive way to share ideas and feelings. If you were lucky enough to grow up with someone who could spin a good yarn, or you sat around a campfire and listened to ghost stories, or perhaps relished evenings with only a radio show to keep you company, then you know how a well-told story can regale, seduce, devastate, or distract a listener. It can open up worlds. Those qualities may be what inspired writer George Dawes Green to found The Moth, a storytelling group that he began 12 years ago in New York. The Moth holds regular events in NYC and elsewhere where people can tell their stories, without notes, to a live audience. To date, Moth participants have shared over 3000 stories on topics ranging from personal loss to triumph, from love to hate, from comedy to devastating human drama you can’t make up. People’s dreams, fears and desires are lived out onstage. Sad, happy, funny, tragic, in the space of 5-15 minutes, people bare some part of themselves to curious ears. In addition to the expanse of themes, it’s the diversity of the storytellers themselves that makes the Moth so compelling. While well-known personalities sometimes grace the stage — including Margaret Cho, Rosie O’Donnell, Candace Bushnell, Janeane Garofalo, Ethan Hawke, Frank McCourt and John Cameron Mitchell — it’s everyday people who have been in prison, or taken a dying spouse on one last motorcycle ride, or dated a hunky fireman despite his intellectual shortcomings, who captivate those of us with a passion for true tales of the human condition. I’m going to tell you a story about my mother. It’s very hard to stand up to your parents … It took me until I was 49 to stand up to her. Duncan holds her audience in rapt attention as she unravels, and comes to terms with, the nature of that relationship and what lies beneath the surface. There are several ways to experience the Moth even if you can’t get to New York or to one of their traveling events. They produce collections of the show on CD which are for sale. You can also listen to a selection of shows for free on TheMoth.org or subscribe to their weekly podcast on iTunes (the aforementioned story by Susan Duncan is on iTunes; highly recommended). There are a few videos posted by storytellers on YouTube, including the two below. In the first sample, And I Am Not Lying blogger Jeff Simmermon recounts the unusual circumstances that led to his kissing — instead of killing — a dude. The second is from comedian Matteson Perry who won the Moth’s storytelling Grand Slam this month for his account of how he unhelpfully offers to “lend a hand” to his girlfriend after a condom is no longer on his person after making love (gee, wonder where it could be?) and deals with the threat of pregnancy. The Moth is an antidote to the information age which floods our brains everyday. Email and 24-hour news cycles and the sheer volume of data that each of us processes is mind boggling if not ADD-inducing. You can slow it down if you want to. Take a break from the news feed on Facebook and the ticker at the bottom of the TV. 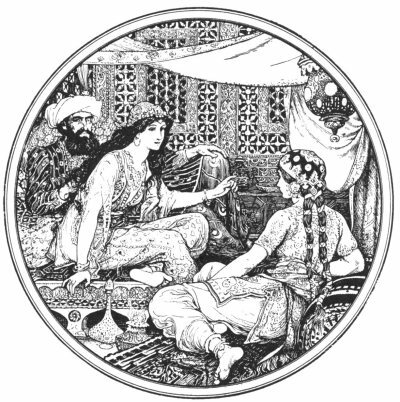 If you like a good story, get in touch with your inner Scheherazade and rediscover the magic.